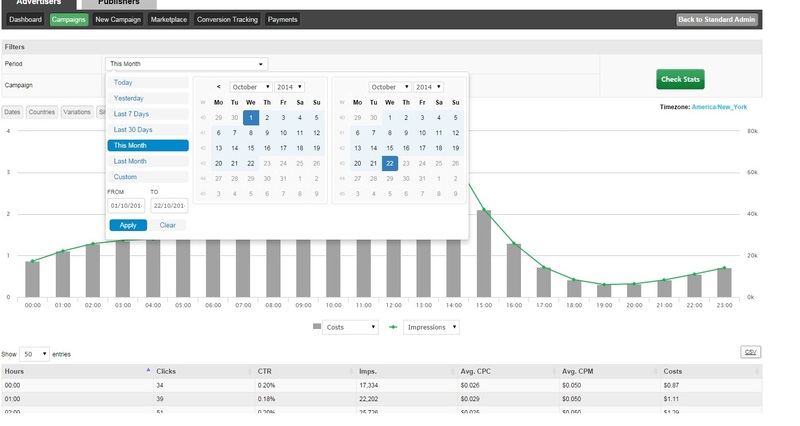 In our last blog post we explained ExoClick’s implementation of Big Data statistics in its Version 3 Admin Panel update and went through the parameters and filters and how you can use the new ‘time’ related data filters to help you evaluate and understand campaign performances better and how to setup timed campaigns using the new Day Parting function. Click here to see Part 1. In this second part we will look at more of the platform’s available sub filters and some key workflow enhancements that can increase your efficiency when using the ExoClick platform. Now statistics are displayed in really useful pie charts to give you a quick filtered overview. 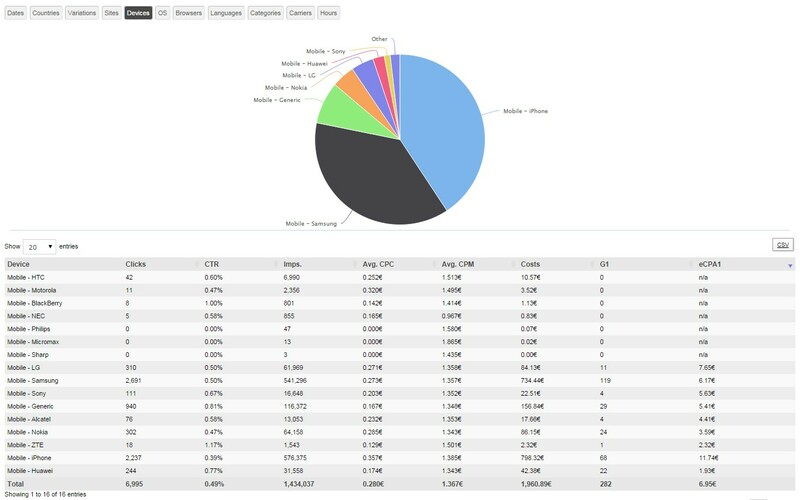 Below the pie chart you will see a detailed list of your device targeting and conversions additionally, the CSV icon lets you export your statistics in a CSV document. By clicking on the G1 header (your goals or conversions) you can group numerically your conversion results. You can see which devices are converting well and the ones that aren’t so good at converting for your campaigns. This cool feature means you now have the option to eliminate the targeting of these specific devices when you run your next campaign, concentrating your ad spend on the higher converting devices and therefore not wasting money on sectors that are not converting. Experiment with the various admin panel filters to fine tune your campaigns and maximise your ROI. Check out our FAQs for additional ideas to optimise your campaigns and mobile conversion tracking. This feature allows you to view your traffic per hour in your preferred time zone. Simply go to the ‘hour’ tab and select your time zone. 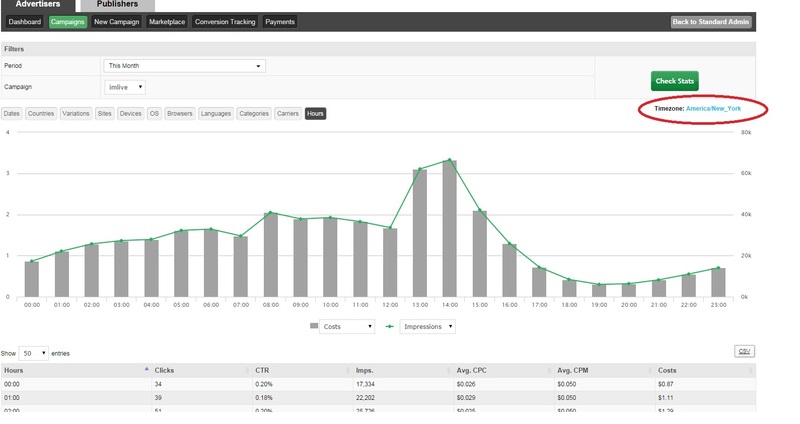 We have made it easier for you to select the time period of your campaigns with a new design layout. You can now update the URL of your landing page without having to upload the variation again – please note that the campaign will still need to be approved again by ExoClick’s Customer Services team. To speed up efficiency when you are working on multiple campaigns Play/Pause, Delete/Restore and Copy can now be used without the page having to reload. Additionally, campaigns you wish to copy can be renamed immediately after pressing copy. Transparency has always been one of ExoClick’s core values. Now you have access to big data you can see exactly where your traffic sources are coming from including redirects. We want to give our clients all the tools and data they need to increase their revenues and run their businesses successfully. This is only the first step of many new features that will be released over the coming months.